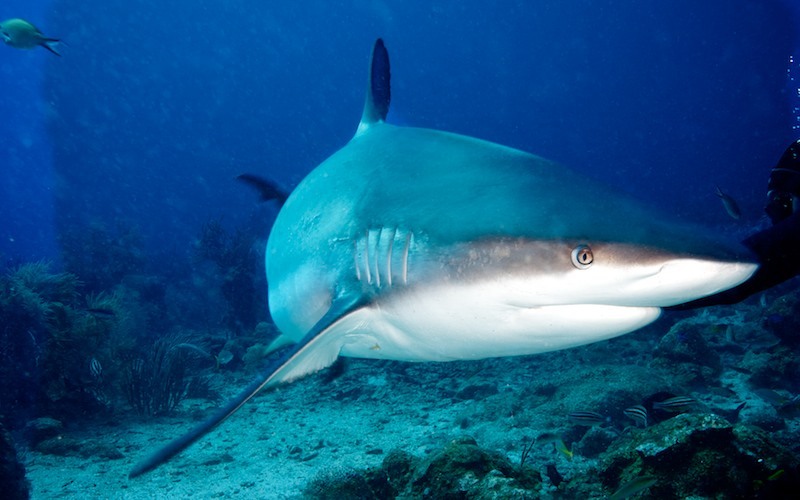 Caption: The blacktip reef shark (Carcharhinus melanopterus) is a species of requiem shark, family Carcharhinidae, easily identified by the prominent black tips on its fins (especially on the first dorsal fin and the caudal fin). Among the most abundant sharks inhabiting the tropical coral reefs of the Indian and Pacific Oceans, this species prefers shallow, inshore waters, and its exposed first dorsal fin is a common sight in the region. Most blacktip reef sharks are found over reef ledges and sandy flats, though they have also been known to enter brackish and freshwater environments. This species typically attains a length of 1.6 m (5.2 ft).